Eliminate the guesswork from your in-home caregiver or care community search! Explore your care options, personalize your care search and find the best match for your needs. We can also help care providers with marketing your skills to those who need you. With the help of our system, finding the best match for your care needs has become much easier. By simply creating a free profile, you will gain access to many potential caregivers or clients in your area. Research, screen, and contact them to set up an interview – all with just a few clicks of your mouse. Personalize a profile based on your individual care needs and preferences. Explore all care options in your area or narrow your search to only caregivers meeting your specific requirements. Seniors need an in-home caregiver or care community they can trust. Our care matching system connects care seekers and caregivers based on profile compatibility. Save time, focus your search and find your next care match! Provide information about yourself, your care needs and preferences. Explore care options, review profiles and find which care option works best for you. Contact providers, run background checks, request references and check reviews. Connect with care providers meeting your specific needs. Tell clients about yourself and the services you offer. Present your skills, experience and training. Read more. Locate people searching for care in your area. Review profiles and care needs, connect with just the right client. Contact care seekers, arrange for interviews and background checks. Network with other care providers. Find the client you’ve been searching for here! Locate individual caregivers in your area with the skills and expertise to meet your care needs. 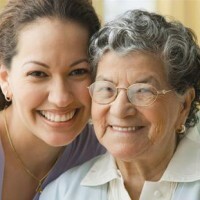 From personal care to specialized needs, start your search here for you next long term caregiver! From companion care to personal care or home health, Home Care Agencies can help you. Agency professionals manage all aspects of your care, allowing you to relax and enjoy the comfort of your own home. Find your next Home Care Agency here! Care communities offer a wide range of options and living settings, from Assisted Living to Memory Care and Skilled Nursing. Enjoy the convenience offered by various community amenities, a social environment and 24/7 care availability. Explore options here and find the perfect care setting for you! 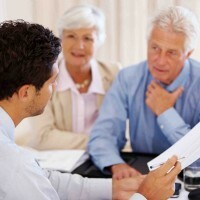 Find professionals specializing in senior and special needs issues. Review profiles of Elder or Disability Law Attorneys, Geriatric Case Managers, Guardian/Conservators, Financial Planners and more! Leave it to a specialist and find your next professional service provider here!